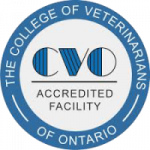 Include IV Fluids and all elected options including in-house pre-anesthetic blood work. It does include extractions etc. if the abnormality is discovered after the patient has his first dental and he/she has been in the dental program ever since. multiple pet option: the first pets enrollment in the dental program can be maintained by having another pet done within 12-18months of the first pets dental. The second pet will not have a discount, but it will extend the 1st pets discount period another 12- 18months. In the next 18 month period a 3rd pet could get a regularly priced dental and once again extend the 1st pets discount period. However, this extension can only occur twice, before the 1st pet needs to he another dental (at 30% off). You can cycle all your pets this way there after and all pets would get 30% off dentals! These can range up to 19% off the regular price depending the season (spring, summer etc). A discount of 25% off an office consultation or annual exam is given in appreciation to clients who refer new clients to our hospital. Simply ask the client(s) you’re referring to mention your name when they book their first appointment. An appreciation letter is sent out and the credit is valid for one year. A client can bring all 3 pets in together OR bring in each pet on different days, but within 1 month (the discount applies on the 3rd pet for all 3 pets). As long as at least 2 pets are up to date on their annual check-ups then each pet coming for an annual exam will be eligible for a 15% discount. 25% off vaccines and dewormer for litters greater than 4 pets, otherwise 15% multiple pet discount applies.